The Malaysia Sustainable Cities Practicum is an intensive field-based course that brings 15 graduate students to Malaysia to learn about and analyze sustainable city development in five cities in Malaysia. 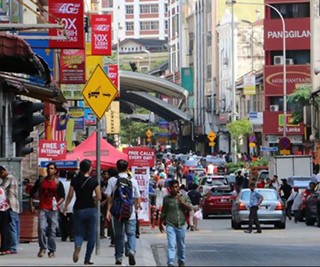 In the first part of the Practicum, which happens in the fall each year, selected graduate students in the Department of Urban Studies and Planning participate in an online self-study during which they learn about Malaysian culture, history, politics, ecology, geography, planning, and economics. They also learn about reflective practice and journaling. During the January Independent Activities Period, students and faculty travel to Malaysia for two weeks to conduct field-based research in conjunction with student and faculty colleagues at Universiti Teknologi Malaysia. The Practicum concludes with a one week group session at MIT that generates a Research Agenda spelling out suggested research topics for the next year's cohort of International Scholars.